The first chapter of this book is a discussion of the three basic psychological needs according to the Self-Determination Theory: autonomy, competence and relatedness, which have been laid out as fundamental nutriments of human experience. The second chapter reviews the research published in the last 10 years on coping skills in adolescence and their association with well-being. The next chapter of the book offers a comprehensive overview of the effectiveness of expressive art based interventions on adolescent mental health. 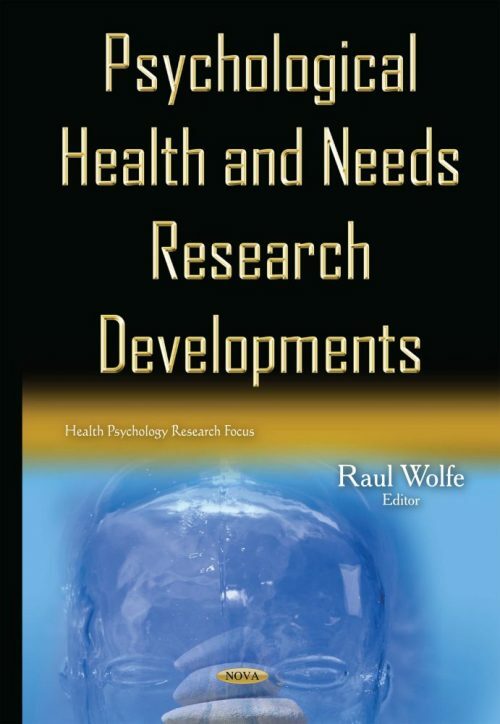 The remaining chapters in this book on psychological health and needs explore the psychological benefits in physical activity and sport; the importance of testing measurement invariance for psychological health research; an examination of the relationships between college student’s spiritual well-being, parental rearing attitude and coping strategies with their anxiety and depression; the importance of Health Related Quality of Life (HRQOL) during aging; and lastly, a theoretical framework is proposed by the authors to investigate the mechanisms by which faith-based addition treatment delivers the desirable treatment outcomes.